Regency World article Georgian Hearts. Two open crowned witch’s heart brooches. Left: Single heart of paste. 1¼” long. c1780. 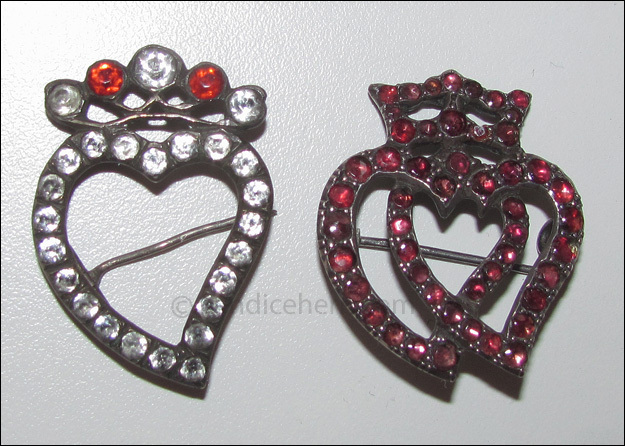 Left: Double heart of garnets. 1¼” long. c1800.